When that happens, I can’t help but smile to myself. Many Christians have a particular idea of what it means to “preach the gospel.” For them it means to preach an “evangelistic sermon.” It means giving a Billy Graham-esque explanation of the gospel: that Jesus died on the cross in our place, taking the punishment that we deserved for our sin, and that if we confess our sins to God and believe in this message we can be saved, given the assurance of eternal life with God even beyond the grave. This gospel preaching is often completed with an altar call, an appeal to pray a particular prayer confessing one’s sins and expressing belief in this message. The problem is, this way of thinking about “preaching the gospel” is not really all that biblical. Sure, it uses some biblical terms and ideas, words like “gospel” and “sin” and “Jesus” and “cross” and “belief” and “confession” and “salvation” and “eternal life.” But many of those words don’t mean what this popular notion of “preaching the gospel” means by them, and the way those terms and ideas are put together in this popular perspective doesn’t reflect the way the New Testament authors put those terms and ideas together. That’s just a sample—the noun “gospel” or “good news” (euangelion) and the verb “preaching the gospel/good news” (euangelizomai) together occur about 125 times in the New Testament, and several of those sketch out what this “gospel” message is that’s being preached. For sure, some of these passages can be read to fit the popular, Billy Graham-esque idea of the “gospel” I’ve described above. But many, if not most, just don’t make sense in that understanding of the gospel. The gospel is about all of Jesus’ life, not just his death on the cross? 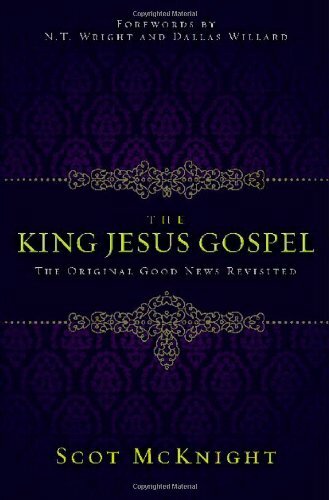 The gospel is about the kingdom of God? The gospel is good news for the poor, the blind, the imprisoned, the oppressed? The gospel is about Jesus being a descendant of David? The gospel is about Jesus being Lord? Yet any understanding of the “gospel” we have must try to make sense of the entire witness of the New Testament to the gospel, not just a few ideas read into a few select passages. This means, also, that any understanding of the “gospel” we have must be flexible enough to allow for the varied descriptions of the gospel we find in the New Testament. The “gospel” is euangelion, it is “good news,” a “good message,” a message of good things, a message that should bring joy to its hearers. The “gospel” is “according to Scripture,” anticipated by and in continuity with the Jewish Scriptures, the Christian Old Testament. The “gospel” is about God, the one true and living Creator, the one in whom all things exist, the one in whom we live and move and have our being, the one who works in and through all things to bring about good purposes. The “gospel” is about the man Jesus of Nazareth, about his life, teachings, good deeds, miracles, death on a Roman cross, and resurrection from the dead. The “gospel” is about Jesus, that this crucified and resurrected Jesus of Nazareth is the Jewish “Messiah” or “Christ,” the “Son of God,” who is the promised King descended from David who fulfills ancient Israel’s longings for God’s eternal reign of justice and peace and flourishing life for the Jews, for all people, and for all creation. The “gospel” is about Jesus, that this crucified and resurrected Jesus of Nazareth is therefore “Lord,” the rightful ruler over God’s people, all people, the entire world. The “gospel” is about “salvation” from “sin,” God rescuing the world through this crucified and resurrected Jesus of Nazareth from all the ways we humans harm each other and the rest of creation through our attitudes, words, and actions, and so work against God’s purposes and desires for us and all creation. Simply put, the gospel is the good news that God has acted in Jesus to make right all that has gone wrong in the world because of human sin. This “act of God in Jesus” is an act of grace and mercy, an act of undeserved favour, an act of restorative, self-giving love. And God calls us to respond to this divine love by persistently turning from our harmful, destructive ways (“repentance”), resolutely declaring our allegiance to the world’s true Lord, the crucified and risen Messiah Jesus (“faith”), and daily following in his footsteps of restorative, self-giving love for others and all creation (still “faith”). Read the Gospels—there’s no “four spiritual laws.” The gospel is not about individual sinners being saved from hell to heaven, but about a sinful world being redeemed so that God’s reign of life and justice and peace might come on earth. Read Acts—there’s no “sinner’s prayer.” The gospel addresses human sin, right down at its roots, but it does so in a way that impacts not just personal sins but also social sins, systemic sins, all the ways we harm and destroy. Read Paul’s letters—there’s no “altar call.” The gospel does call for a response, but it’s a summons of allegiance to one who has given himself in humble, selfless love. And all this is why, when I hear someone say something like, “All you ever do is talk about Jesus and love. Why don’t you preach the gospel?”—I smile to myself. Yes, all I talk about is Jesus and Jesus’ way of love. That’s because I’m preaching the gospel. This entry was posted in Michael Pahl and tagged evangelism, god, gospel, jesus, kingdom of god, love, preaching, sin. Bookmark the permalink. praise the name of the lord, iam brother ssekasamba george a gospel artist from uganda and i would like to be part of this church.